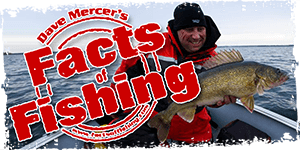 I'm curious if anyone has any Water temperature Signs they follow when Fishing fall Muskie? Reason I ask is I was out on Stoney This week, and couldn't rise a single fish...no strikes, no follows, nothing. We worked the Burleigh Falls/hells gate/hurricane bend area's REEEELY hard over 2 days, and didn't even get a sniff. We casted out token 10,000 casts, we trolled, fast slow, big, small, and every color in the box LOL!!! We were on the water during the cold front, and even through the warmfront that brought the Thunderstorm on Monday. There was no exuse IMO, I just figure they were off. One Local we spoke to seemed to think the Temps were a problem? So much it appeared he decided to not even try? He was setting up his gear when I was talking to him, but after the conversation he never launched? Water was between 63-65 degress pretty much everywere. I suppose thats a bad thing? It seemed like a bit of a lame exuse to me considering they'll feed through the Summer when things are obviously warmer. My question is whats the ideal Temperature? noticed a similar drop on an area of GB this past weekend ,we swung out deeper(18 to 24'),and went 2 for four.All the fish came off points and deep struckture. We pushed out to deeper waters in the Burleigh area, in that 18-24' range, even swung into some 30' water by default, but temps were really consistent at that 63-65 mark regardless. Temps in the Kawarthas the past few weeks have been in the mid 60's and fishing has been slow ( for me!) A few under 36" but no big girls yet. I have been hearing that fishing has been tough or 'off' all season from a few people- hopefully things will turn around soon- I have vacation Thanksgiving week! I was up on the French from Monday til noon FRiday. WAter temps were mid 60's Monday and down to 61.5 on Friday, and had similar results. I usually cast 90 % and troll 10%, but due to a nasty cold front, I probably lowered casting to 60%. Result for the 4 days was one 41" muskie caught trolling on Thursday. Had one other good strike trolling, but casting didn't even produce a pike!